KUCHING: Over the last five years Kuching city has seen the exciting emergence of various youth outfits centring on career, the arts and culture, building communities, carrying out community service in the form of volunteerism, social consciousness and modern and innovative enterprise – a trend not seen before. 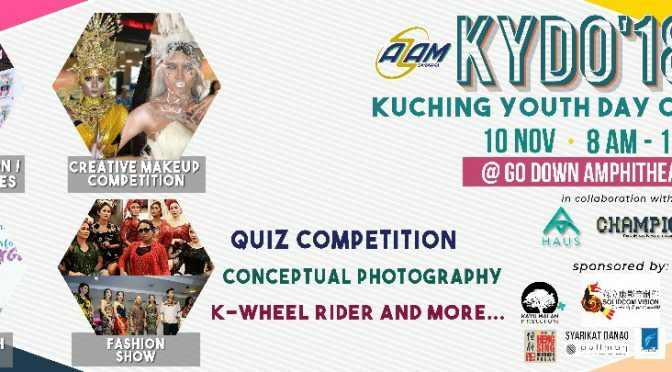 To carry forward this momentum Angkatan Zaman Mansang (AZAM) Sarawak and youth volunteer group AZAM Young Souls are providing a platform to bring together these diverse groups to interact, synergise, and produce ideas on future efforts through their youth programme Kuching Youth Day Out 2018 (KYDO’18), a two-day event from 9-10 November 2018. 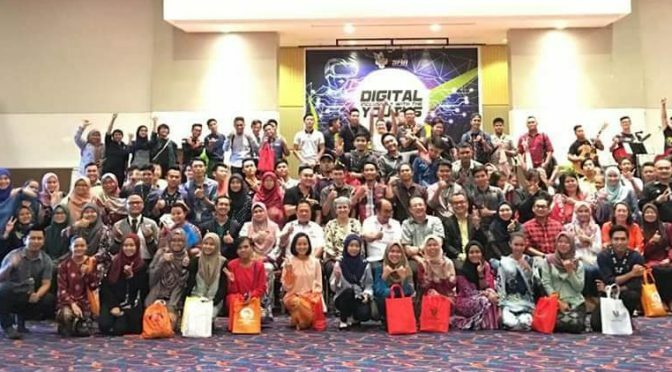 MIRI: Some 190 community leaders, members of village security and development committees (JKKK), local entrepreneurs and youth representatives took part in Randau Digital Workshop held at a leading hotel here on Friday. 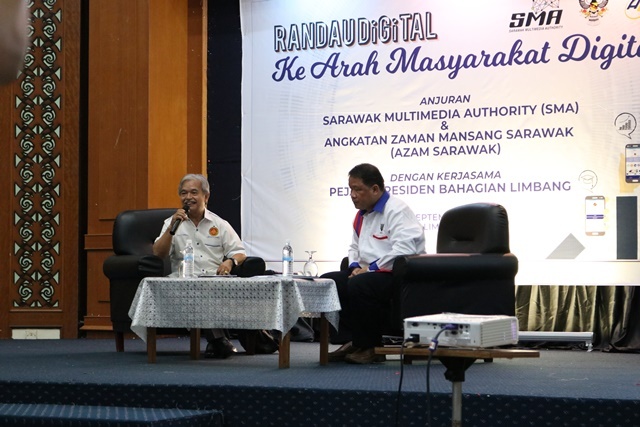 The one-day workshop themed ‘Towards a Digital Community’ was organised by Sarawak Multimedia Authority (SMA) in collaboration with Angkatan Zaman Mansang (Azam) Sarawak and Miri Resident Office in line with the state digital economy development strategy. 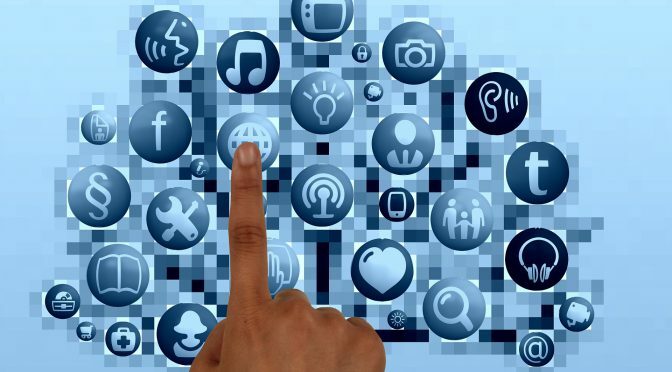 The programme was the second in a series of workshops to promote digital inclusivity. 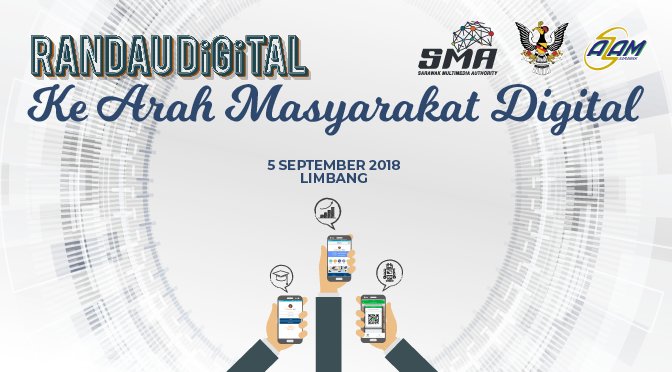 KUCHING, Oct 24: Sarawak Multimedia Authority (SMA) in collaboration with Angkatan Zaman Mansang (AZAM) Sarawak is organising a one-day workshop called Randau Digital themed “Ke Arah Masyarakat Digital” (Towards a Digital Community) in Miri on Oct 25. 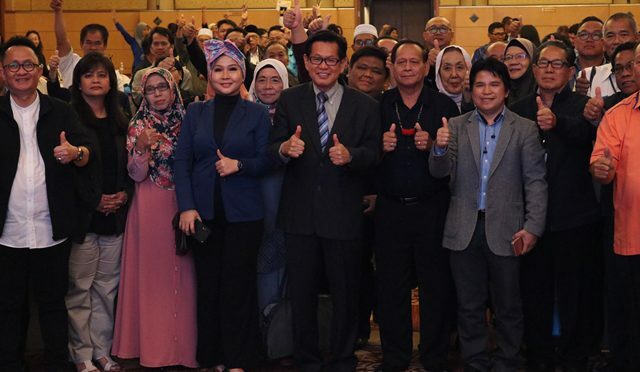 Azam in a press statement said that this workshops is one of the ways to ensure that Sarawakian communities are well-equipped to participate in the fast-transforming global economy brought on by advancements in digital and communication technologies. 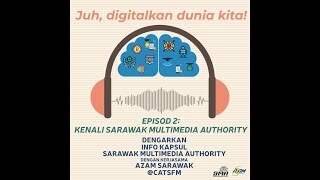 Angkatan Zaman Mansang (AZAM) Sarawak telah mengadakan pameran bersempena dengan Hari bersama belia Mukah dalam Ekonomi Digital anjuran Unit Komunikasi Awam Sarawak (UKAS) dengan kerjasama Sarawak Multimedia Authority (SMA) pada 10 Oktober 2018 yang lalu. Tujuan program ini dijalankan adalah untuk mendekatkan fahaman ekonomi digital dalam diri belia Mukah. 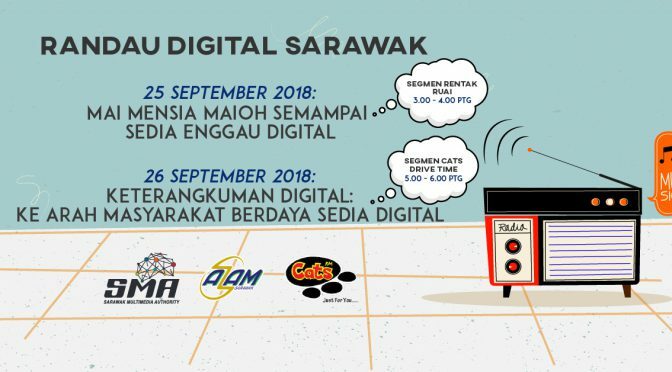 LIMBANG, Sept 6: In efforts to ensure that Sarawakian communities are well-equipped to participate in the new digital economy, the first in a series of Randau Digital Sarawak workshops themed “Ke Arah Masyarakat Digital” was held yesterday (Sept 5) in Limbang as part of the state’s initiatives to ensure digital inclusivity across Sarawak. 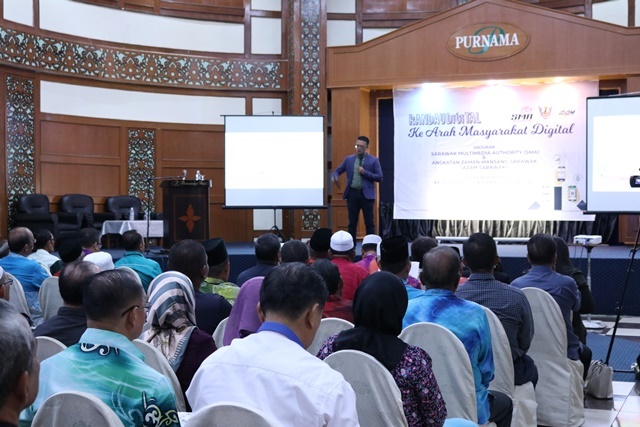 Organised by Sarawak Multimedia Authority (SMA) in collaboration with Angkatan Zaman Mansang (AZAM) Sarawak, about 100 participants comprising community leaders and members of the Village Development and Security Committees (JKKK) from Limbang Division attended. The workshop focused on familiarising and educating grassroots leaders on development strategies and trends under the digital economy agenda as well as equipping them with the relevant knowledge and networking to enable them to mobilise their communities to initiate activities that promote and nurture digital economy. 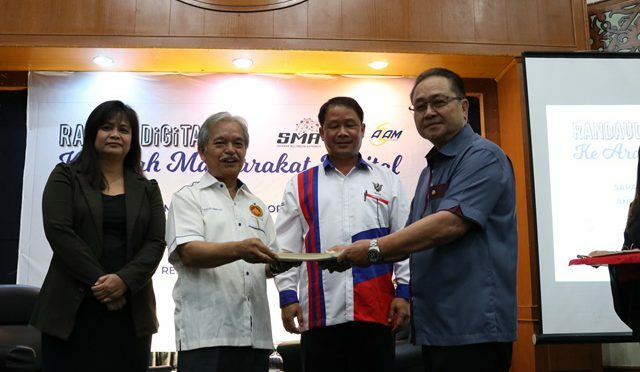 Batu Danau assemblyman Paulus Palu Gumbang was the guest of honour for the randau session on “Peranan pemimpin dalam menggerak masyarakat akar umbi ke arah ekonomi digital” which allowed participants to discuss the future of digital economy in the Limbang division. 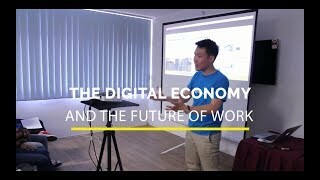 “There are many opportunities under digital economy for us to explore, especially in terms of agriculture in Limbang where we are lacking in manpower,” said Paulus, adding that it was difficult to find workers in Limbang, citing cases where farmers or smallholders had been struggling to maintain their farms and collect their produce due to this shortage. “There are some initiatives where automated irrigation systems have been applied to solve these kinds of problems,” Paulus continued, adding that this kind of automated farming and fertigation could be applied to other crops such as chilli. He urged participants to also take advantage of free platforms like MyBazar or social media to sell their local products for a wider market reach. The workshop began with seminars from experts and government representatives Unimas Faculty of Computer Science and Information Technology dean Dr Johari Abdullah and Sarawak Administrative Officer from Kuching District Office Suraijah Zainol as well as sharing sessions from successful industry players like apparel and accessories entrepeneur Neng Kho Razali and agro-based entrepreneur Reman Apon. The breakout sessions in the afternoon covered four key areas: capacity-building, e-tourism, digital entrepreneurship and agriculture and agro-based ventures. 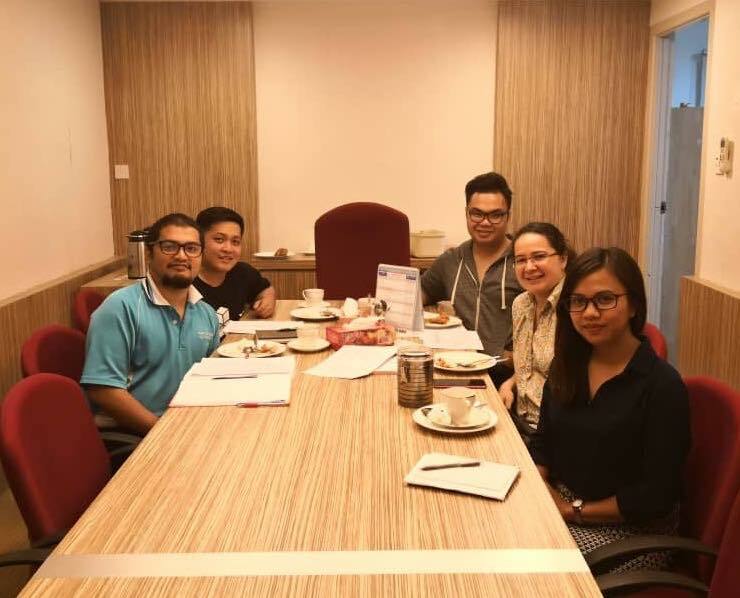 The sessions were conducted by representatives from Ministry of Tourism, Arts, Culture, Youth and Sports Sarawak (MTACYS), Department of Agriculture Sarawak (DOA), Limbang Resident Office, Kuching District Office, AZAM and local industry players. 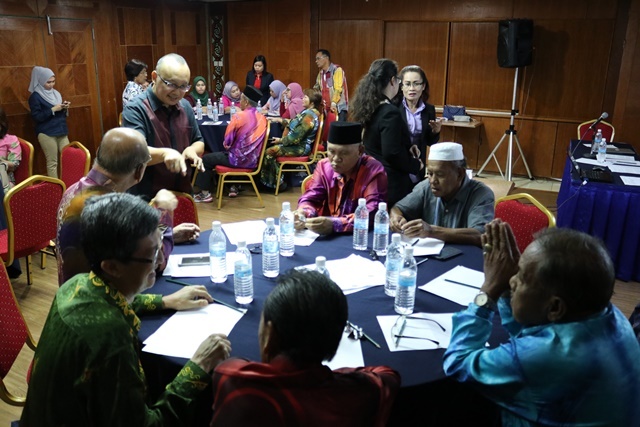 The next workshop is scheduled to be held in November for Miri Division. KUCHING: Advancements in digital and communication technologies are fast-transforming the global economic landscape and Sarawak will not be left out in this digital revolution. In its efforts to ensure that Sarawakian communities are well-equipped to participate in this new economy, various initiatives have been carried out by the state government to ensure digital inclusivity. EVENT UPDATE: i-CATS’ Creating Life on Campus programme has been postponed to a later date. Watch this space for more updates! 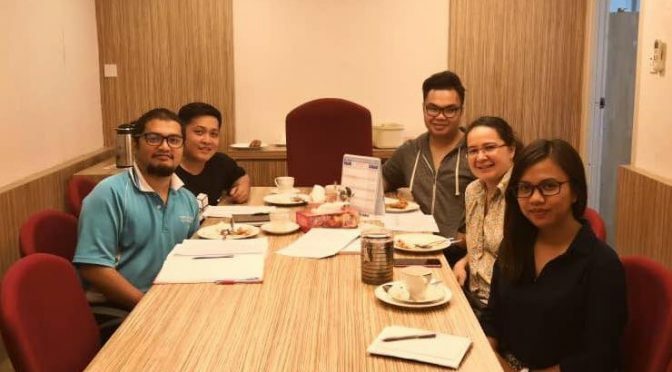 PROGRAMMES IN THE PIPELINE: (From left) AZAM Toastmasters vice president Azim Ismail, president Bong Kuek Kong, AZAM community development officer Mohd Wasli bin Mohd Ismail, communication officers Margaret Apau and Nissa Normin. 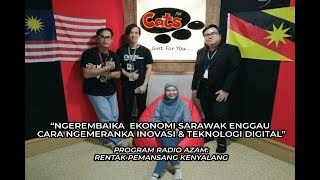 A day of confidence-building sessions and an introductory course to AZAM Toastmasters Club (AZAM TMC) is in the works for International College of Advanced Technology Sarawak’s (i-CATS) inaugural “Creating Life on Campus” programme on 8 September 2018. En Ariff led the one-day motivational programme that helped provide the youth participants a working knowledge of what drives people in self-motivation, interpersonal communication and intensive public speaking. Soft skills like communication, self-motivation, leadership and time management are all skills that can separate a candidate from other job applicants with the same hard skills and technical qualifications. 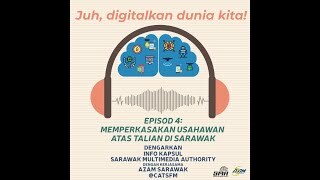 In surveys conducted by Malaysian Ministry of Higher Education and JobStreet on unemployment among fresh graduates in 2016, it was found, among others, that one in four fresh graduates in Malaysia remains unemployed for six months after their graduation and that three main reasons why fresh graduates remain unemployed were: poor attitude, lack of English proficiency, and poor communication skills. Deputy State Secretary Datu Dr Sabariah Putit launching the forum. 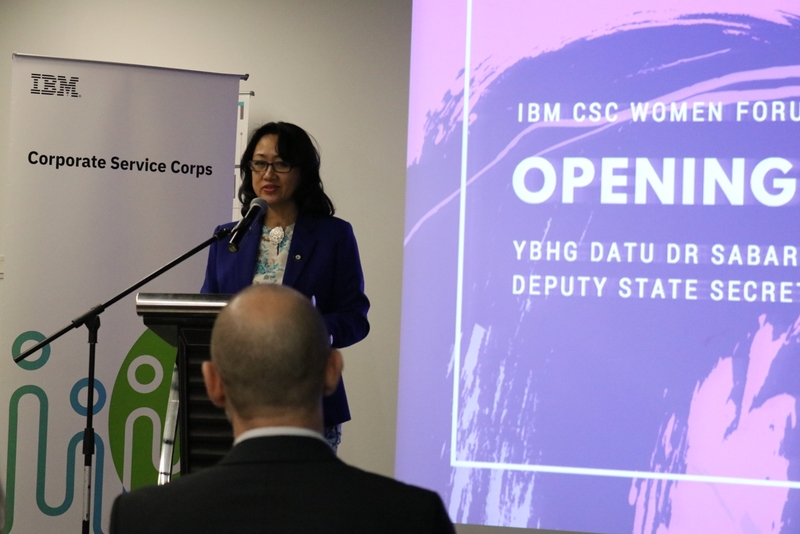 KUCHING, 21 March 2018: More than 100 women from universities, non-profit organisations, government agencies and the media attended the Women’s Forum at the TEGAS Innovation Hub to share their journey as women at work, home and business. 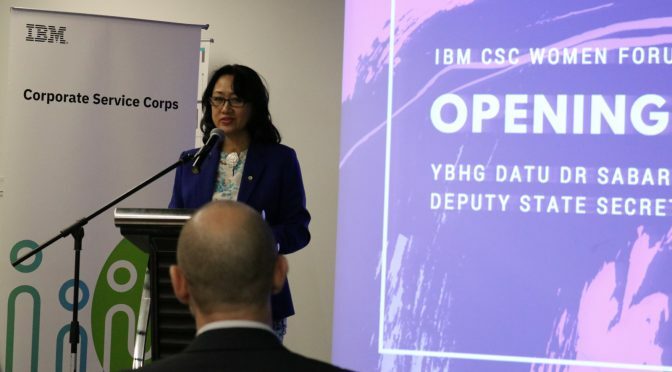 Deputy State Secretary of Sarawak Yang Berbahagia Datu Dr Sabariah Putit launched the forum that featured an impressive line-up of speakers such as IBM Malaysia managing director Chong Chye Neo, The Tuyang Initiative co-founder Ms Juvita T Wan and Pustaka Sarawak CEO Rashidah Hj Bolhassan.